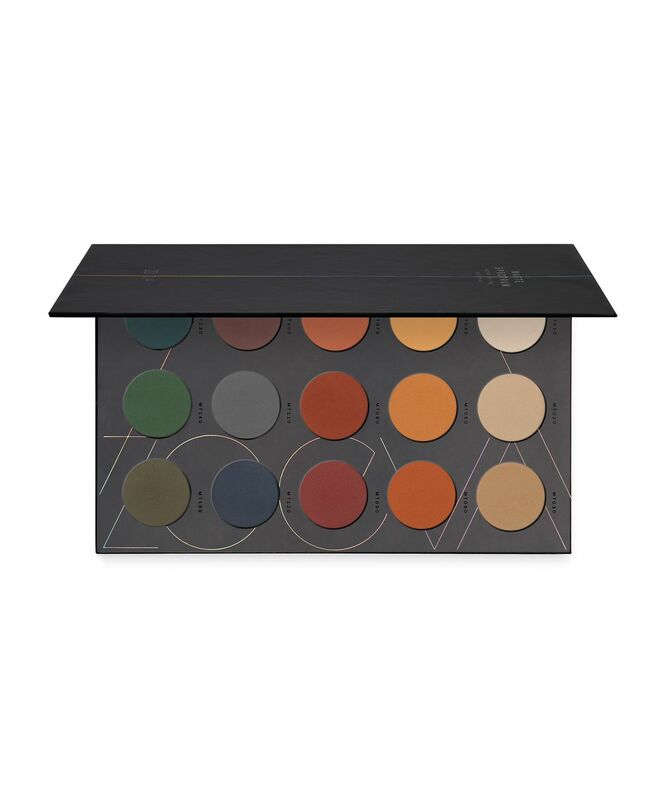 Treat your lids to a rainbow of shades with ZOEVA’s must-have Matte Spectrum Eyeshadow Palette. Comprising 15 matte shades ranging from deep cool blues to sunset hues – all boasting intensely rich pigments as one would expect from this much-loved make up line. They can be used on their own for a statement colour block shadow, or blended together for a stand-out look. Apply with ZOEVA’s multitude of high-tech brushes, and create show-stopping eyes in an instant. ZOEVA’s products and tools are beloved by professionals and make up devotees alike, each one delivering a flawless finish so you can master even the trickiest of make up techniques. This Matte Spectrum Eyeshadow Palette offers a gorgeous variety of intensely-pigmented matte shades that blend beautifully. Colours range from cooler hues (khaki, bottle green and pebble grey) to warmer shades (burnt orange, brick red and peach) as well as lighter colours (caramel and ivory) to create a fetching contrast. Free from parabens and mineral oil, these shadows contain micronised pigments for an incredibly rich colour payoff. #1, #2, #3, #4, #5, #6, #7, #8, #9, #10, #11, #12, #13, #14, #15: Talc, Zinc Stearate, Mica (Ci 77019), Octyldodecyl Stearoyl Stearate, Polybutene, Octyldodecanol, Phenoxyethanol, Tocopheryl Acetate, Lauroyl Lysine, Dehydroacetic Acid, [May Contain. +/- CI 77891 (Titanium Dioxide), CI 77491 (Iron Oxides), CI 77288 (Chromium Oxide Greens), CI 19140 (Yellow 5 Lake), CI 77742 (Manganese Violet), CI 77007 (Ultramarines), CI 77499 (Iron Oxides), CI 77492 (Iron Oxides), CI 42090 (Blue 1 Lake), CI 75470 (Carmine), CI 16035 (Red 40 Lake), CI 77510 (Ferric Ferrocyanide). Beautiful palette, interesting colors, good to work with. The only negative thing is that over time the colors disappear a little on the eyes and become less bright. This palette is amazing. You can create so many different looks with it. For me a total must-have. First time I've tried Zoeva brand, really happy with the palette. Picked it for the matte shadows and bang on trend shades. Very high pigment and staying power in fantastic. Would definitely buy more from this brand. Love the colour choice and the pigmentation is just amazing. This palette is amazing I love it you can create any look you want with this the colours are super pigmented. My first product from Zoeva and I'm chuffed with it. The colour selection is nice, the shadows are blendable and you can create some really nice matte makeup looks with it. Definitely recommended! This palette is extremely pigmented and has a wide variety of colours. I can create almost any look with this palette and the eyeshadows are very blendable.